Cab aggregating apps Ola and Uber could induct quadricycles into their fleets in the coming months. Bajaj Auto is said to be planning to supply the Qute quadricycle to Ola and Uber by early next year. 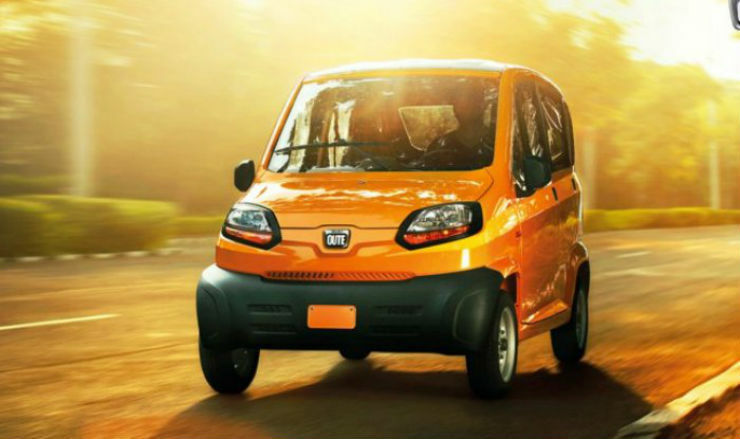 The Qute will soon go on sale in India, and will be pitched as a cheaper and safer alternative to three-wheeled autorickshaws. It’ll only be sold as a commercial vehicle though, which means that private buyers won’t be able to opt for it even after launch. The Qute is a four-seat vehicle, including the driver’s seat. Bajaj Auto has 100% localised the Qute, and is now producing it. The quadricycle is being exported to many countries around the world. A solution for each specific mobility need is likely to be the way forward. We need a vehicle which is lightweight, have low speeds, environment friendly, and highly fuel efficient. Bajaj Qute has been designed taking into consideration the issues involved in intra-city transportation. As far as this vehicle’s supply is concerned, we have had discussions with most taxi fleet owners as well as aggregators like Meru, Ola, Uber, etc. However, it is premature to conclude on any commercials in the absence of permission to run on Indian Roads. The Bajaj Qute quadricycle weighs less than 475 kilograms, and is smaller than the country’s smallest car – the Tata Nano. Length, breadth, height and wheelbase of the Bajaj Qute measure in at 2,752 mm, 1,312 mm, 1,652 mm, and 1,925 mm, respectively. The vehicle’s small footprint will allow it to squeeze it into the smallest gaps. The Qute is powered by a 216-cc, four-stroke single-cylinder engine with 13.2 PS of peak power and 19.6 Nm of peak torque. The engine gets water cooling and a twin spark ignition system. A five-speed manual gearbox and a rear-wheel drive layout will be standard on the Bajaj Qute. LPG and CNG variants are also in the works.